As men we are born into this preexisting world and into circumstances far beyond our means of control. We are raised arbitrarily believing everything we are told, because as children we have not yet developed the capacity to think freely for ourselves; we become entirely dependent on principles and rules that exist for reasons we cannot yet understand or question. Sophocles’ Antigone chooses to challenge the rules imposed on her and confronts the wrath of a furious king Creon, who lets immaturity so cloud his judgment that he will not stop short of capital punishment for Antigone’s well-intentioned transgression. Why is Creon so enraged and too fixated on this misdemeanor to listen to reason? To understand Creon’s juvenile behavior, we must psychoanalyze his character and comb his speech for clues. According to Erik Erikson’s theory of psychosocial development, as a man in his middle adulthood Creon is confronting the challenge of “Generativity vs. Stagnation”. At this age men yearn to contribute to society and help guide future generations, or else foster a feeling of stagnation and uselessness in their lives. Adults often attempt to satisfy this desire by raising children, and Creon would agree that “that’s what a man prays for: to produce good sons—a household full of them, dutiful and attentive, so they can pay his enemy back with interest” (Sophocles 714-721). Creon defines his success at this stage as producing loyal sons; moreover, his success comes in being able to rule over them as his loyal army. He even reminds Haemon that as his son, he ought to “feel within your heart, subordinate to your father’s will in every way” (713). There is even a sense of militancy as Creon depicts his ideal “household”. He describes it more like a state of emergency than a family unit, and it is evident that Creon is fixated on being a father-figure, rather than a father– for the sole purpose of having totalitarian reign over a subservient public. This radical attitude of supremacy, even towards his own son, shows how Creon’s vision of the state is intrinsically tyrannical; this can be attributed to a psychological impediment of his social and moral development. Creon’s desire for absolute power suggests to us that he harbors a superiority complex, one of the several defense mechanisms he employs in his speech. According to George Eman Vaillant’s categorization, the defense mechanisms Creon practices in Antigone are consistent with immaturity and neurotic behavior. Defense mechanisms are subconsciously employed to distance oneself from external experiences and eliminate the need to confront reality. Traits like humility, moderation, mindfulness, and acceptance are categorized as “mature” defense mechanisms, present in emotionally healthy and stable adults. In no instance throughout the play does Creon exercise any of these mature mechanisms, which people develop to optimize success in human relationships and society. Creon instead exhibits a superiority complex, one of the crudest defense mechanisms, as a means of offsetting and concealing his fear of inferiority. Creon demands absolute subservience from his son—a principle he appears to assume extends to the Theban citizenry now that he is king—and disregards any of his advice, asking, “So men our age, we’re to be lectured are we? —schooled by a boy his age?” (814). He reveals his apprehension towards criticism and is constantly afraid of the implications of losing this Polynices debate, especially to a woman as he explains, “I am not the man now: she is the man if this victory goes to her and she goes free” (Sophocles 541). Creon displays a regression to immature and debased reasoning, rejecting all opinions that do not align with his own and displacing his anger on those questioning him. He is quick to condemn others in his irritation before rationalizing the situation; when the sentry tries to explain that an unknown criminal had tried to bury Polynices’s body, Creon immediately seeks to convict the sentry of the crime, fantasizing that the criminals “perverted my own guard, bribed them to do their work” (Sophocles 333). Over the course of this conflict many try to convince Creon to listen to reason including Tiresias, the city’s wisest man, who tells Creon, “All men make mistakes, it is only human. But once the wrong is done, a man can turn his back on folly, misfortune too, if he tries to make amends, however low he’s fallen, and stops his bullnecked ways.” (1131). Tiresias is one of Creon’s most trusted advisors, but Creon evidently does not hold up well against criticism and retorts without any logic or rational explanation, “you and the whole breed of seers are mad for money!” (1171). Creon continues to rely on infantile defense mechanism devoid of logic and thought; and this unwarranted slander is Creon’s employment of displacement, displacing his anger towards people innocent of the wrongdoing. Ironically, Creon was previously observed “projecting” his own characteristic of arrogance onto Antigone, threatening her that “the stiffest stubborn wills fall the hardest” yet now he stands here contradicting himself and falling victim to his own threat (528). Lawrence Kohlberg, another renowned psychologist, would argue according to his stages of moral development, it is obvious that Creon is performing on a juvenile level of morality. He is consumed by his self-interest, concerned only with what is in it for his own gain, asking aloud, “Am I to rule this land for others—or myself?” (Sophocles 823). Even Haemon recognizes that this is—as Kohlberg would put it—“pre-conventional morality” and retorts, “Now, you see? Who’s talking like a child?” (822). The highest level of morality that Creon ever functions at is “conventional morality”, the naive concept of obeying laws for the sole reason that they are laws, not because they are ethical or appropriate. He proclaims, “that man the city places in authority, his orders must be obeyed, large and small, right and wrong” (749) and that “the city is the king’s—that is the law!” (825). Creon never considers if the laws or his actions are moral or reasonable, which is why he never achieves “post-conventional morality”, which functions on the mature and enlightened concept of universal ethical principals. Haemon, though so much younger than his father, has developed this mature sense of morality that Creon seems incapable of. Haemon still upholds the same values of respecting the father figure, reminding Creon, “I rejoice in your success, father… What medal of honor brighter to his children than a father’s growing glory?” but Haemon also realizes that there are other principles that need to be sustained in a functioning society (Sophocles 786). Haemon tries to persuade his father to use “reason, the finest of [god’s] gifts” (765) and realize that he should not “be quite so single-minded, self-involved, or assume the world is wrong and [he is] right”(790). He urges his father to realize his absurdity and consider that the citizens believe “no woman ever deserved death less, and such a brutal death for such a glorious action” (776). Haemon understands the importance of law, but he recognizes the value of ethics and being mindful of others. He operates with mature defense mechanisms, showing humility, mindfulness, and moderation. Haemon engages his “post-conventional” moral understanding, questioning the laws to defend the more universal ethical principles of right and wrong. Valliant and Kohlberg would applaud Haemon in this debate, for he has successfully transcended the immature strata of morality and human interaction. Creon could never operate at this level because he was unable to overcome the naivety of his reasoning and morals. A philosophical standpoint would agree with the aforementioned psychology and conclude that Creon is blinding himself with his own immaturity. Immanuel Kant defines immaturity as “the inability to make use of one’s own understanding without the guidance of another,” or the inability to use reason to make decisions by oneself (Kant 58). Creon never managed to “throw off the yoke of [self-incurred] immaturity” and always had to rely on Tiresias’s wisdom and guidance because he was clearly unable to thoughtfully choose a path by himself (59). Creon naively accepted all the basic principles he was raised under and never developed the freedom of “moral choice” that Simone de Beauvoir describes, because he never inquired, “Why must I act that way? What good is it? And what will happen if I act in another way?” like most young men do in their adolescence (de Beauvoir 39). By never questioning his actions or beliefs, Creon locked himself and his potential to develop a capacity for good judgment away in a “rigorous circle… from which [he] is more and more unlikely to escape,” entrapped by his own stubborn insularity (40). Clouded by his immaturity, Creon never “discover[ed] his subjectivity; [or] discover[ed] that of others,” and thus he only saw matters as black and white, putting the power of the king and his laws above all else (de Beauvoir 39). To Creon there existed no grey matter to be debated. He was blind to it and could not conceive of laws being disputable since he had never questioned them himself. Creon made himself oblivious to all advice and reason that did not support him, and could never understand Tiresias’s words: “a sense of judgment, wisdom is the greatest gift we have” (Sophocles 1165). He bound his entire morality to the laws of the patriarchy, and in his blindness could never come to sympathize with Antigone or accept the counsel offered by the city’s wisest man or even his own loyal son. Creon proved that “stubbornness [branded him] for stupidity…pride is a crime,” and in the end Creon paid the ultimate price for his crime (1136). Beauvoir, Simone de, Robert Fretchman. Ethics and Ambiguity. New York: Kensington Publishing Corp, 1976. Print. Descartes, Rene. Discourse on Method and Related Writings. London: Penguin Group, 2003. Print. Sophocles, Robert Fagles, and Bernard Knox. 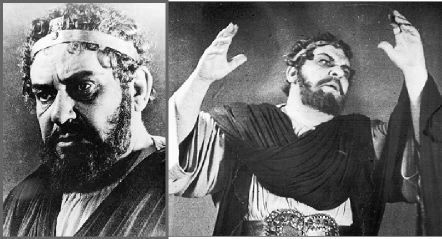 The Three Theban Plays. Harmondsworth, Middlesex, England: Penguin, 1984. Print.